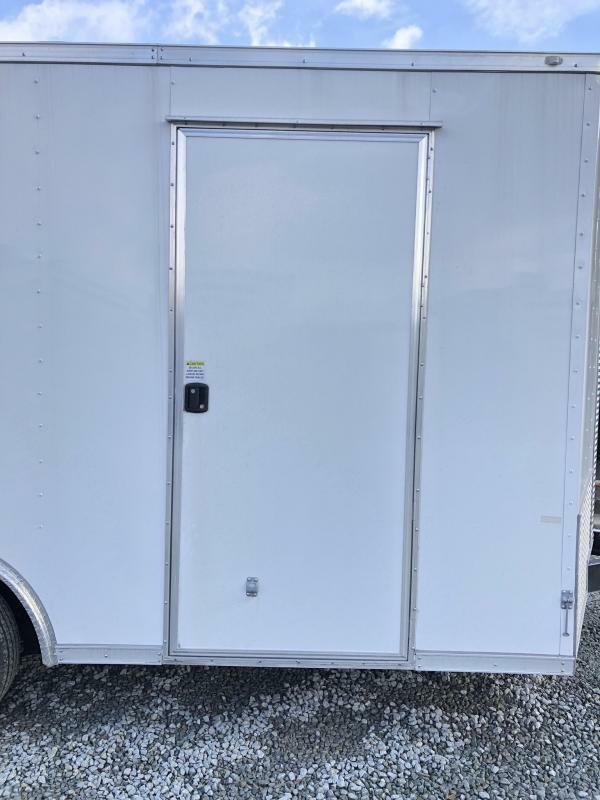 UNIT IS WHITE IN COLOR AND HAS A V-NOSE AND RAMP DOOR. 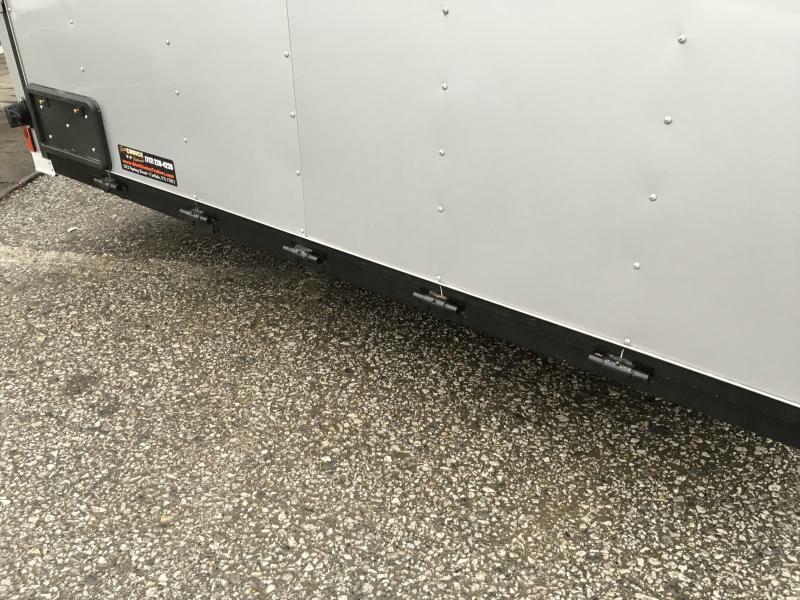 UPGRADED TO ATP FENDERS. 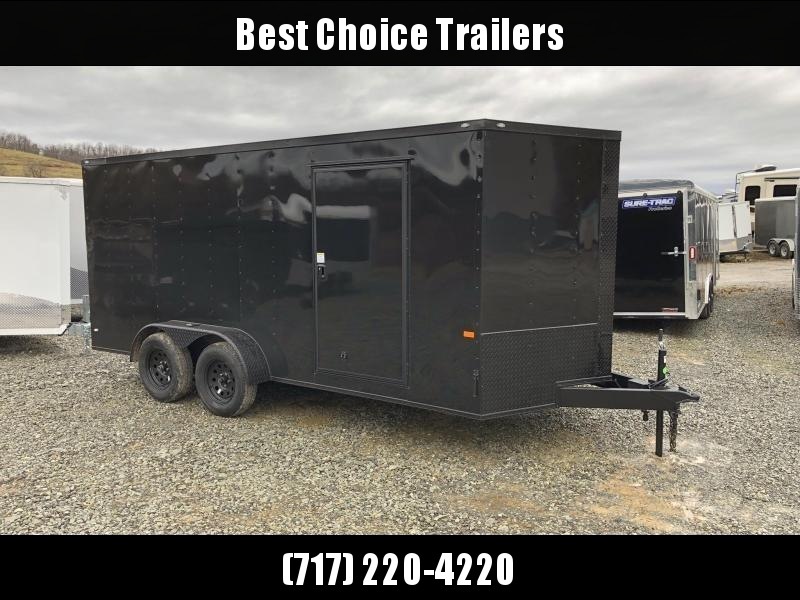 THIS IS A GREAT TRAILER FOR A CONTRACTOR (SHELVES DOWN BOTH SIDES? 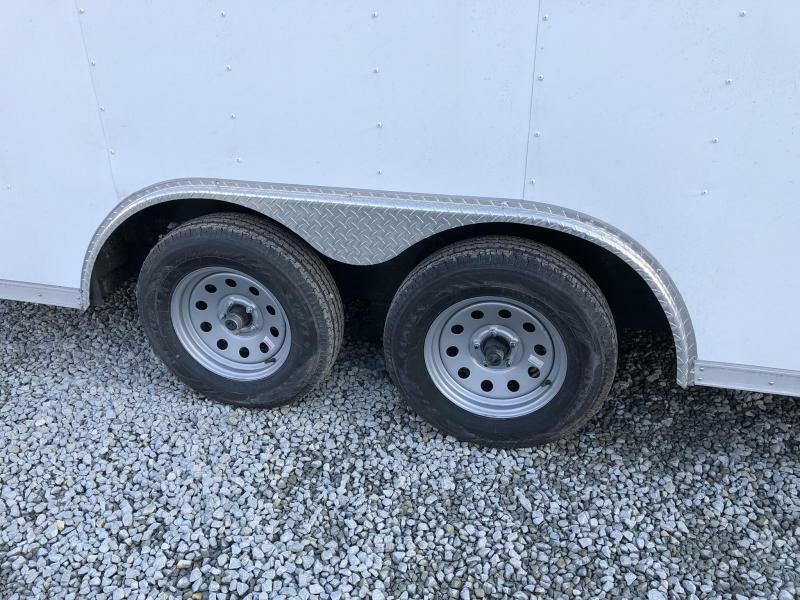 ), LANDSCAPER (HARDWARE DOWN ONE OR BOTH SIDES), ATV'S (2-3 FAIRLY EASILY, ON AN 8' WIDE YOU CAN SPIN THEM SIDEWAYS), BIKES (3-4, ON A 8' WIDE YOU CAN GET FULL SIZE IN NO PROBLEM), ETC. 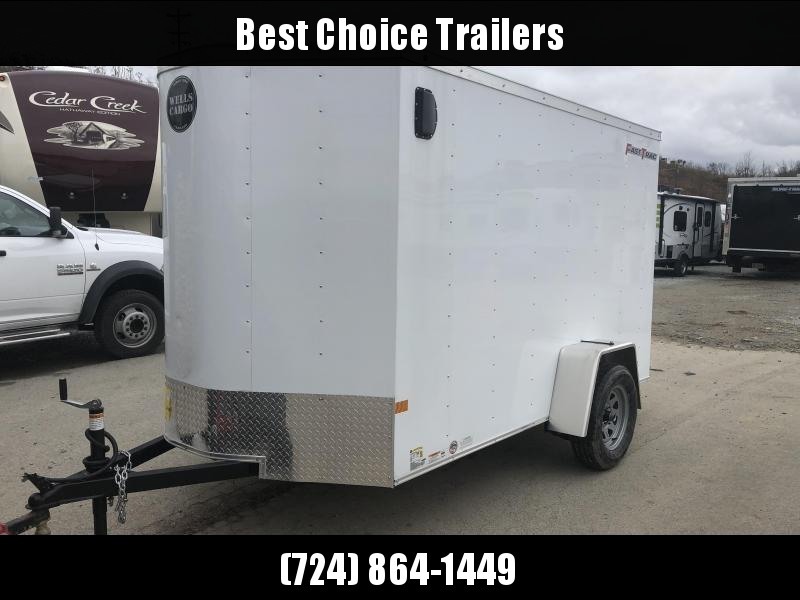 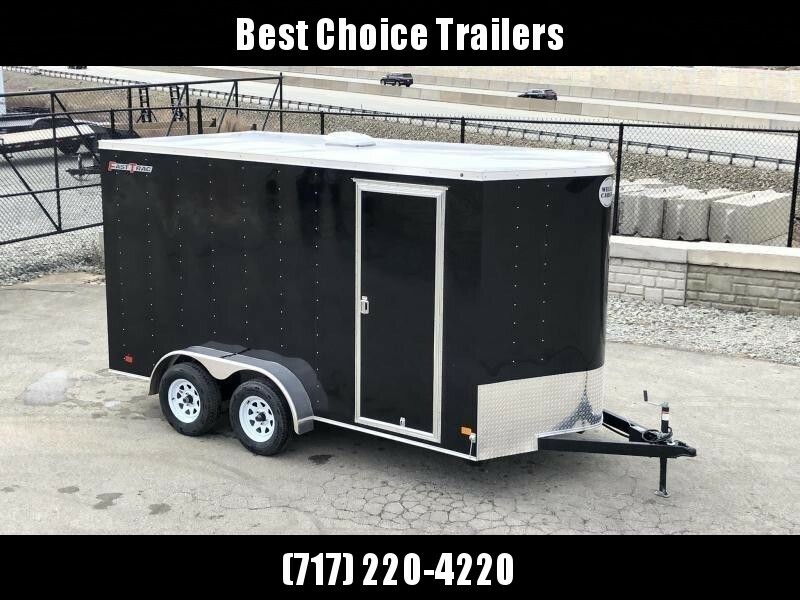 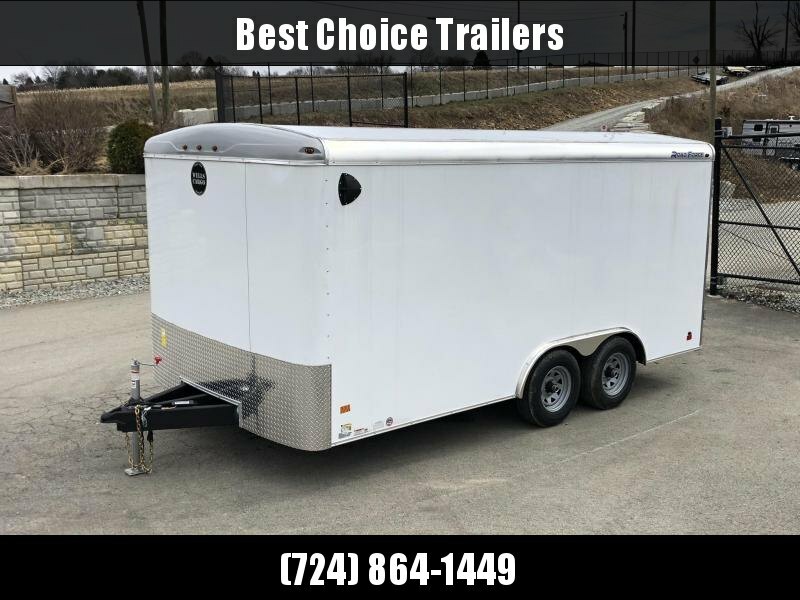 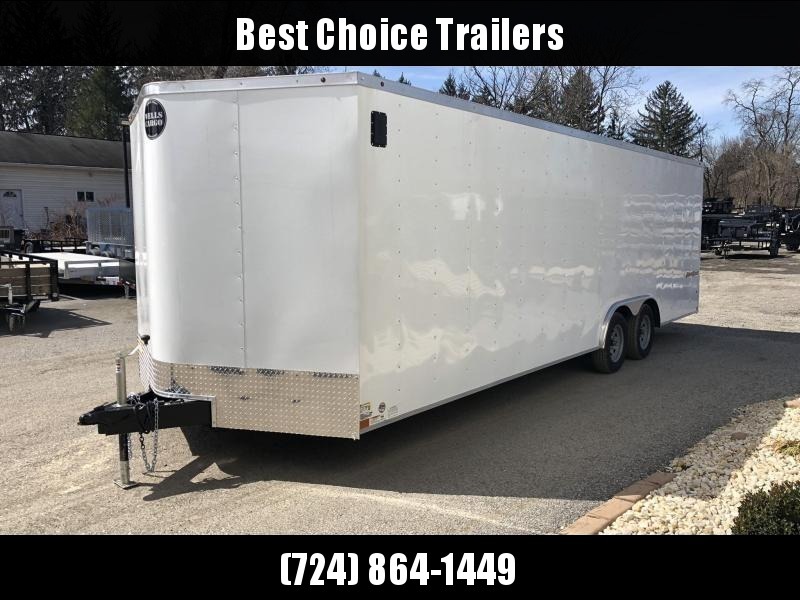 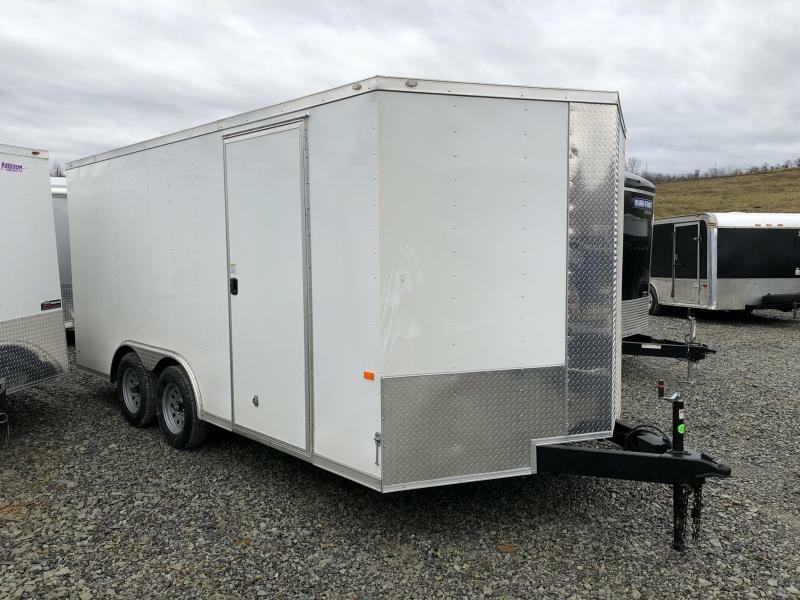 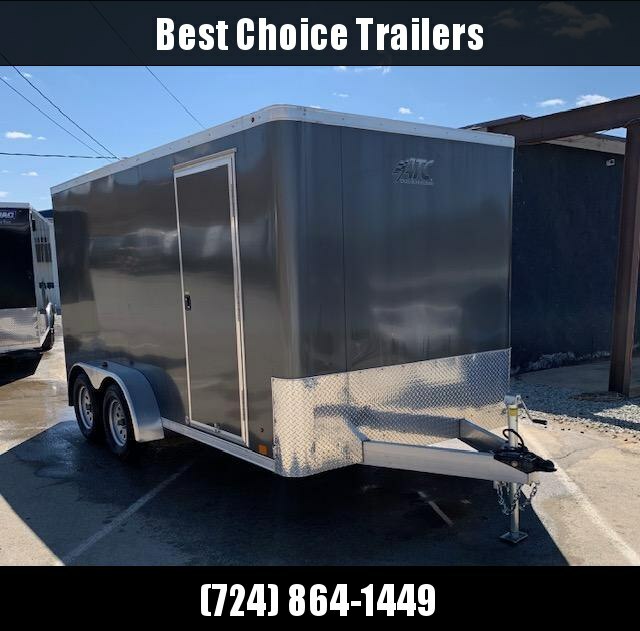 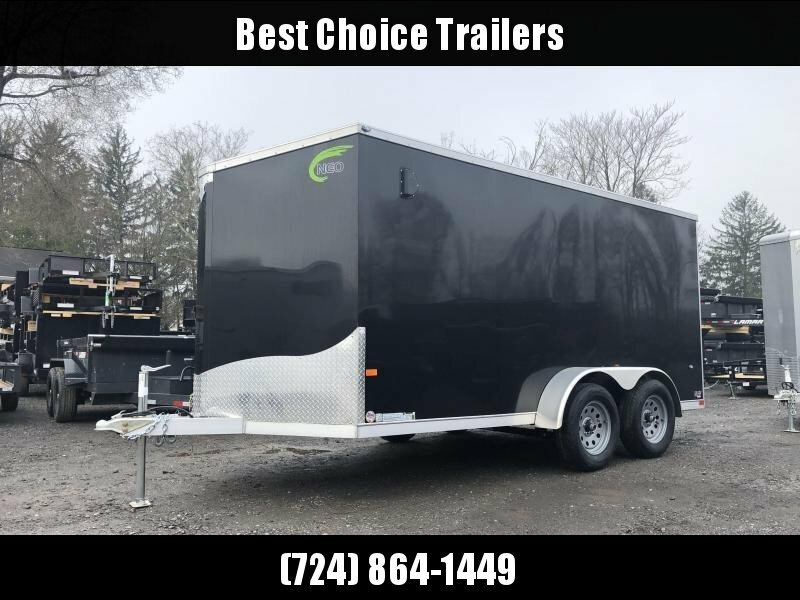 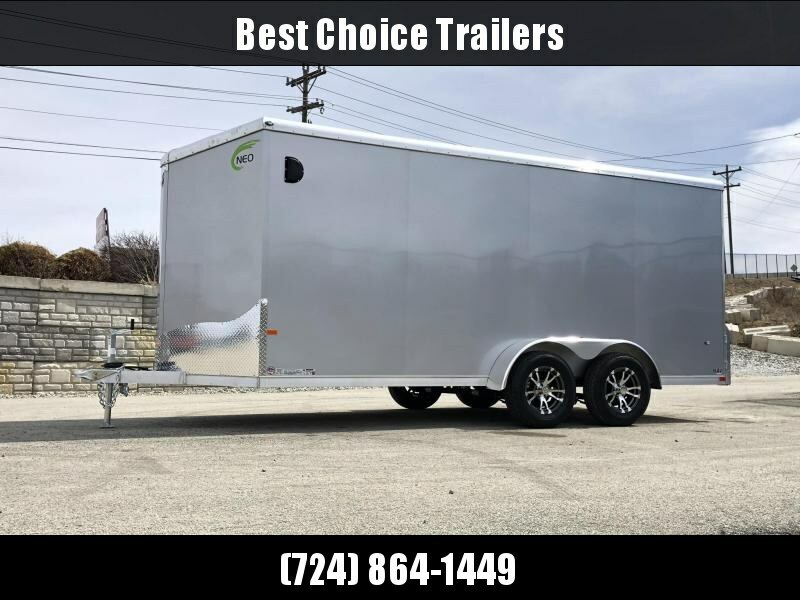 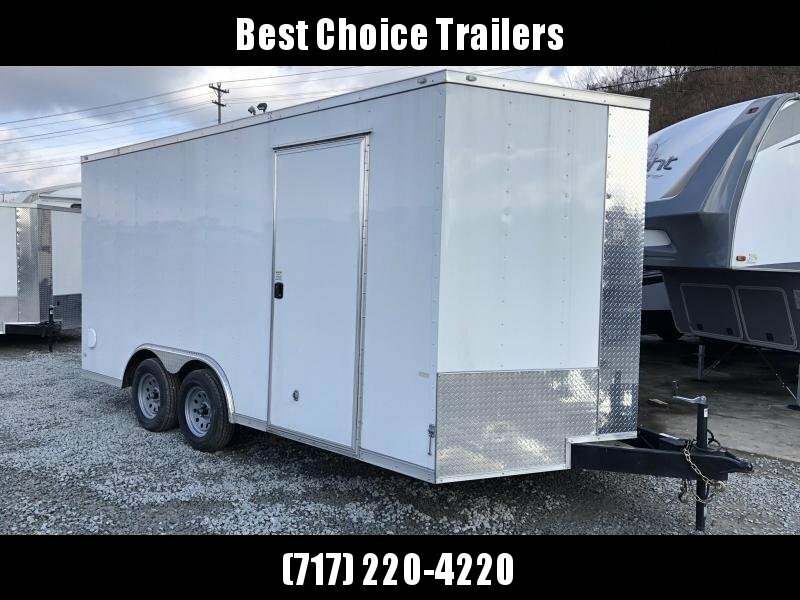 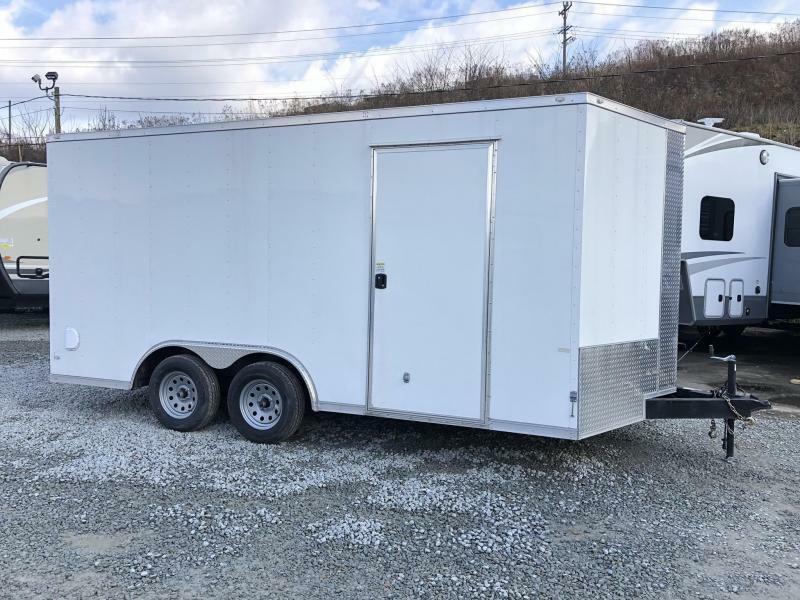 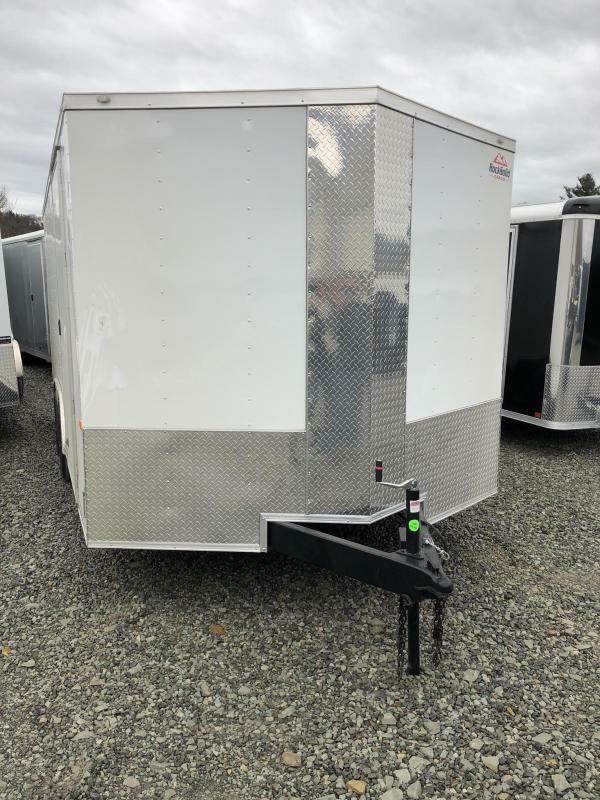 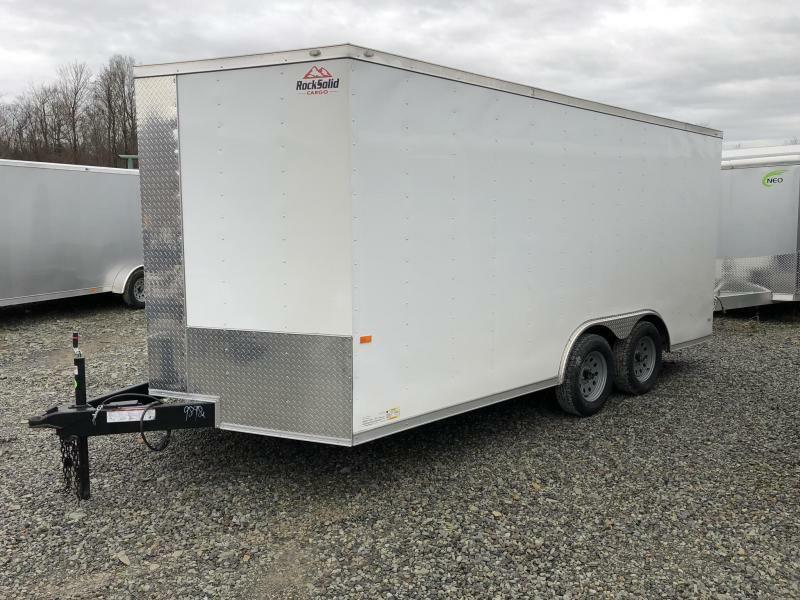 UTV (THE BEAVERTAIL ALLOWS SOME MUCH NEEDED EXTRA HEIGHT THROUGH THE DOOR OPENING) - THIS IS A VERY VERSATILE SIZE TRAILER THAT WORKS FOR A LOT OF DIFFERENT CONFIGURATIONS. 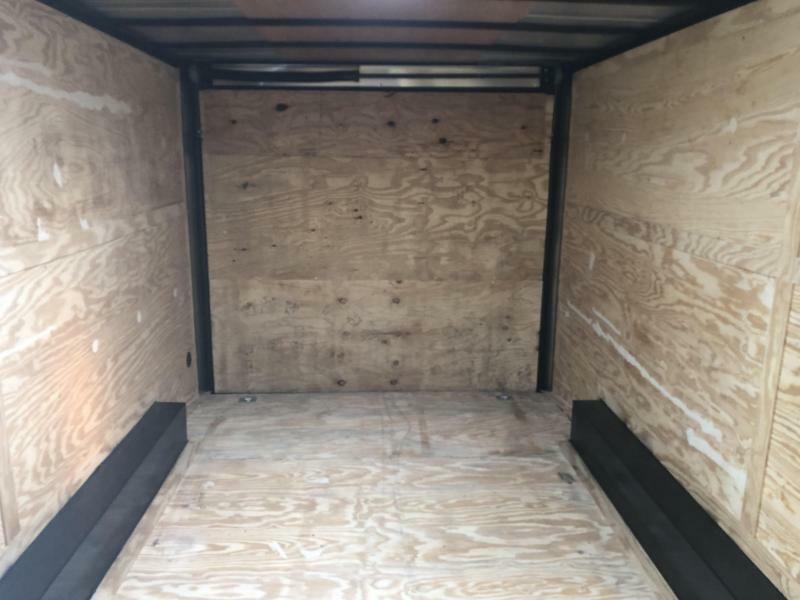 Look around, and compare the value. 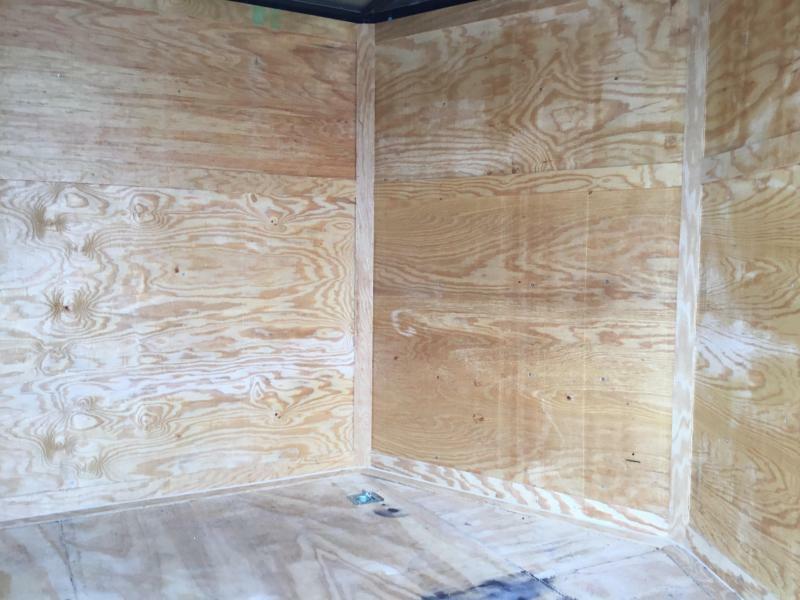 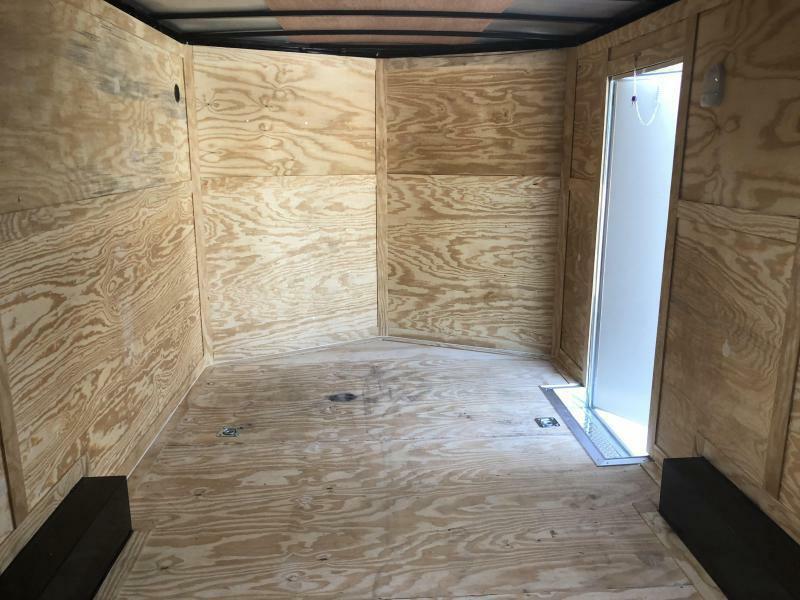 Many this size are going to be using inferior Z-post wall studs and hat post ceiling studs, chip board walls or flooring, 24" O.C. 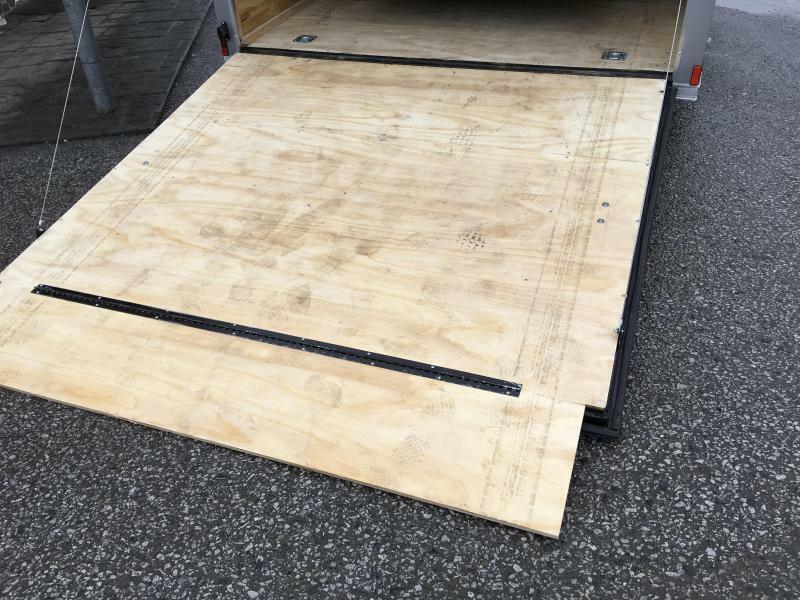 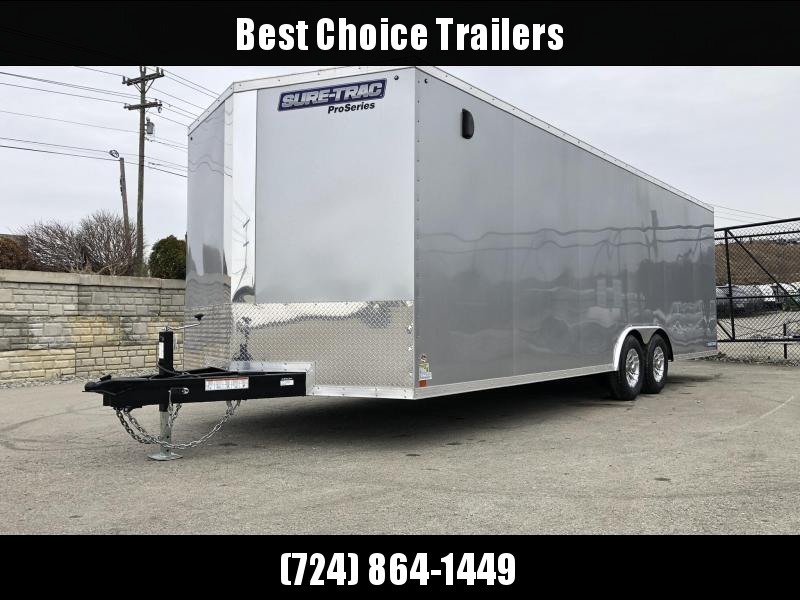 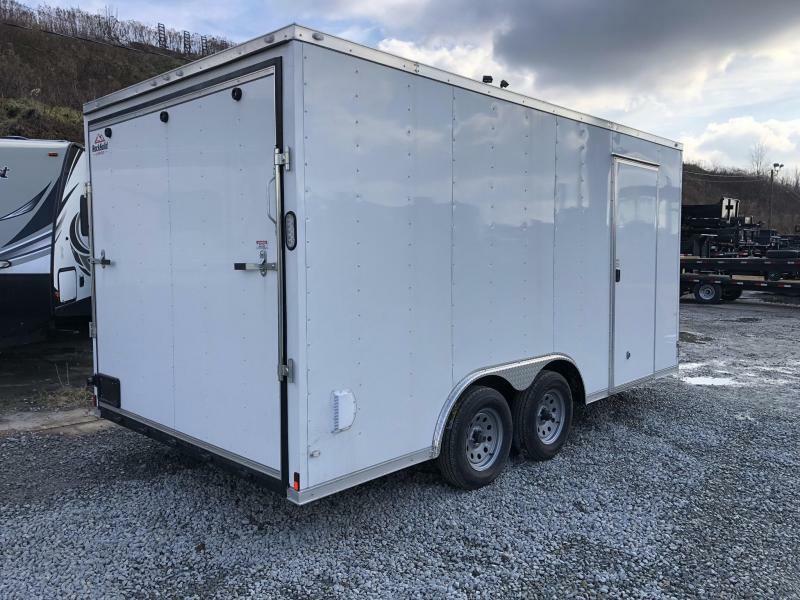 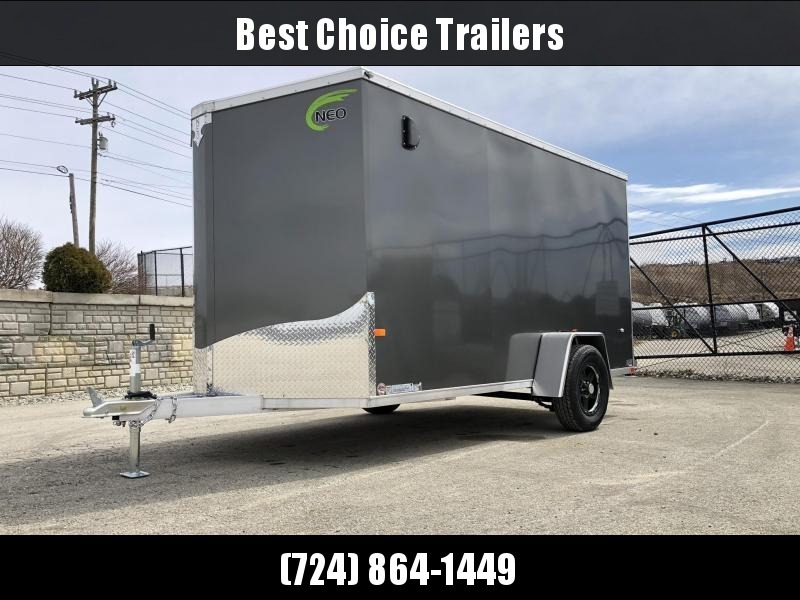 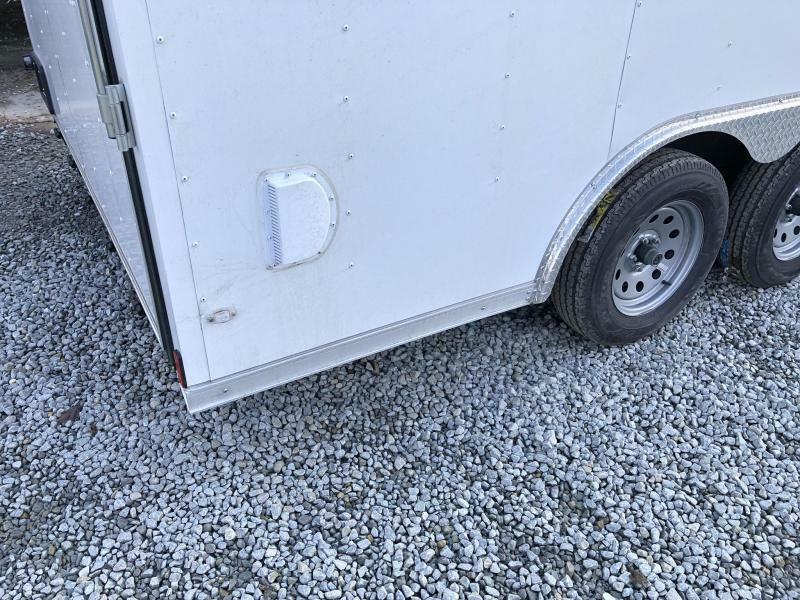 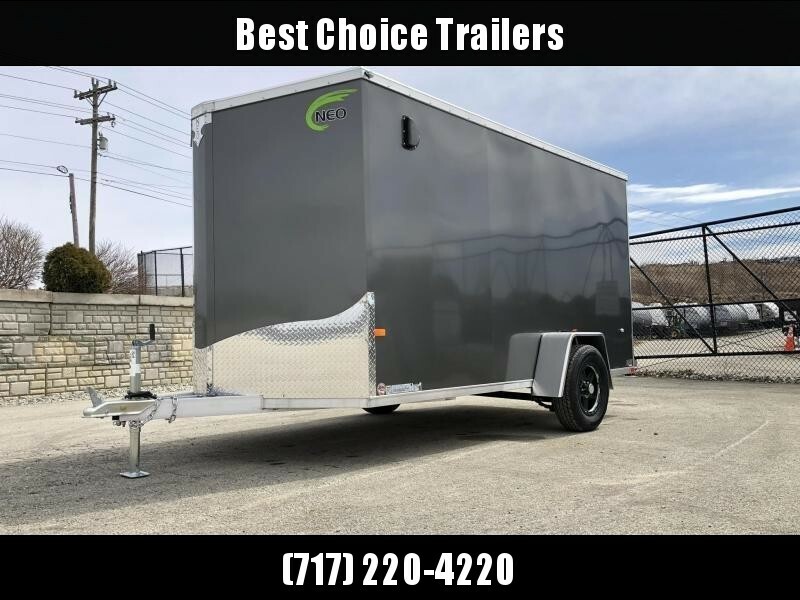 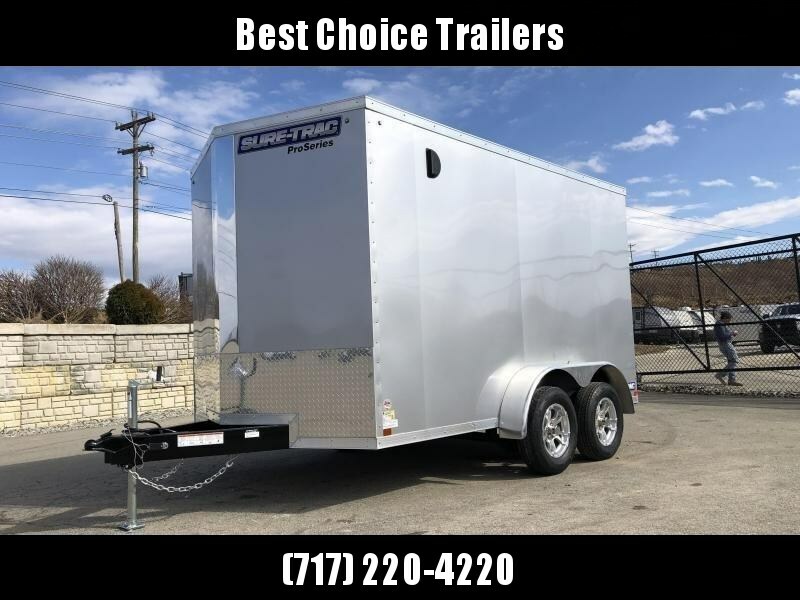 floor or walls, the nicer RV side door ILO a strap hinge side door, oversize 36" side door ILO a 32" side door, a ramp flap extension is standard, all LED lights not just tail lights, taller 24" stoneguard as some are using 12" or 18", etc. 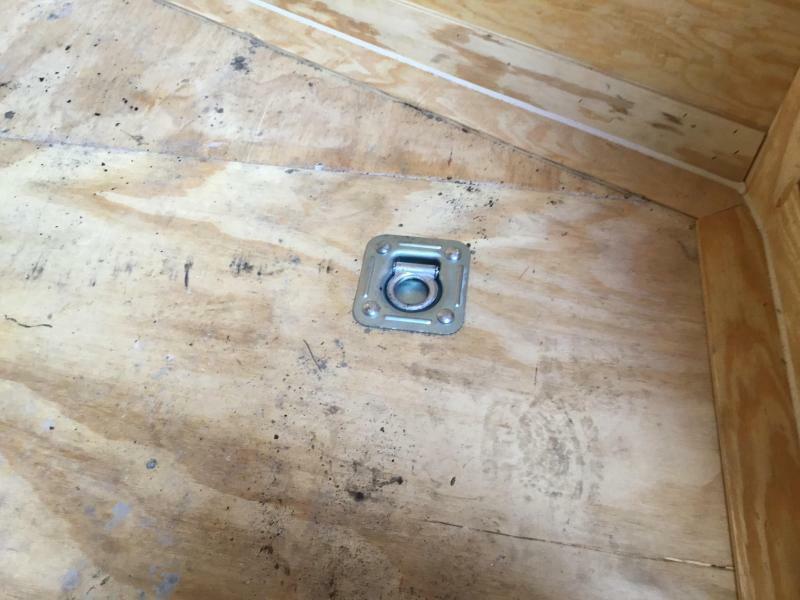 3" bottom trim where 1" is typical. 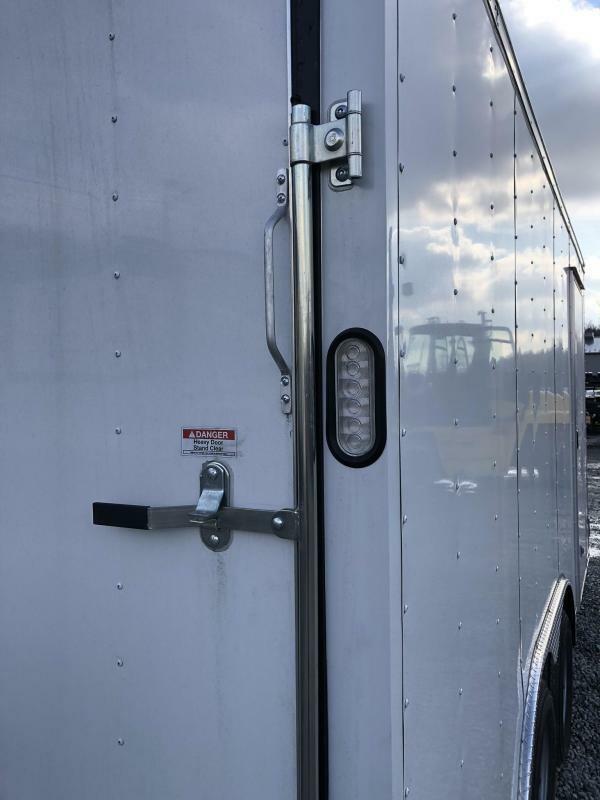 5 rear door hinges where 2-4 are more common. 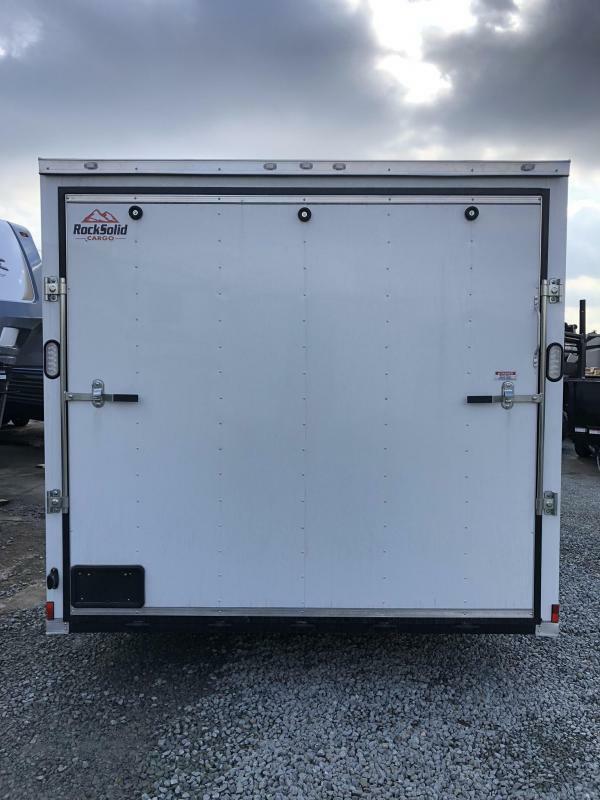 This is a nice value at this price point.